Six days after celebrated as the oldest living person in the world at the age of 116, Gertrude Weaver passed away in Arkansas on April 6, 2015. Weaver was staying in Silver Oaks Health & Rehabilitation Center last week when she was declared as the oldest known living person in the globe. 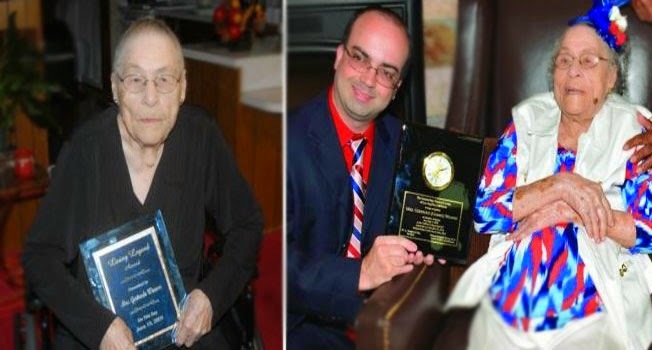 Kathy Langley, the administrator of the senior care facility in Camden, Arkansas shared that Weaver enjoyed reading the news about her being the oldest person alive on earth. Basking in the short lived fame, Weaver was remembered to have shared her secret of a long life. She said that the secret to live a long life was to be kind to other people. Langley shared that Weaver had enjoyed the spotlight, but it had ended soon and losing her was a devastating lost. Weaver was born on the fourth of July, 1898 as revealed by Gerontology Research Group. This group had been dedicated to validates the ages of the longest living people.according to the group, there are only three people who were boon before 1900. Weaver grew up from a family of sharecroppers and Arkansas was her birthplace, just near the borders of Texas. Her livelihood used to be being a domestic helper. With the sudden lost of Weaver, Jeralean Talley is now known as the oldest person alive. Born on May 23, 1899 and will also be at the age of 116 as shared by Gerontology Research Group. Talley lives in Insker, Detroit ad credits her long life to her faith in God. In an interview last year she said that God puts everything in his hands. She stopped bowling at 104, but she clarified that she never smoked, drank alcohol nor a had minor surgery. The Japanes, Misao Okawa, shared that her secret is eating. At the age of 117, she died on April 1, 2015.